Joining a growing list of internet communications apps that have disappeared in China, Skype is no longer available on Apple's App Store there. The company said it has to comply with local law, and Skype didn't meet the protocol. 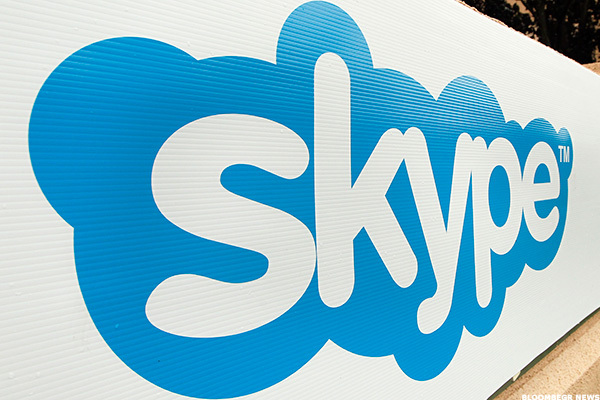 Microsoft Corp.'s (MSFT - Get Report) Skype is losing its connection in China. The Skype app is no longer available on the Apple Inc. (AAPL - Get Report) App Store throughout China, according to a report from Reuters. This is the latest addition to a growing list of applications that have been banned in the country in order to comply with strict local regulations. Apple told Reuters that it had removed several internet phone call apps from its App Store at the behest of the government's Ministry of Public Security, which said the apps violated local law. The Skype app is reportedly also missing from the Tencent Holdings Ltd (TCEHY app store in China. Alphabet Inc.'s (GOOGL - Get Report) Google Play app store isn't available in China. Apple said it has removed 674 virtual private network, or VPN, apps in China this year at the request of the government, according to a report in the Financial Times. The VPN apps allow users to evade censorship, but the government appears to be increasing its reach by implementing similar crackdowns on internet telephony apps. The app removal is related to China's real name authentication laws, which were introduced earlier this year. The laws require network providers to verify the legal names of all users with state-issued identification, such as a driver's license or passport. Microsoft stock was lower in early morning trading as Apple shares gained. Apple and Alphabet are holdings in Jim Cramer's Action Alerts PLUS Charitable Trust Portfolio . Want to be alerted before Cramer buys or sells AAPL and GOOGL? Learn more now.